Severn Trent is a major water company responsible for water management and supply, waste-water treatment and disposal. Severn Trent required a comprehensive installation project for three sites. ExMesh™ was asked to provide expert advice and input into the initial site surveys and work with the on-site engineering team at three Severn Trent sites, facilitating the project management of the site delivery of SR3 fencing and vehicle gates, including the planning, production, and delivery of ExMesh™ products. 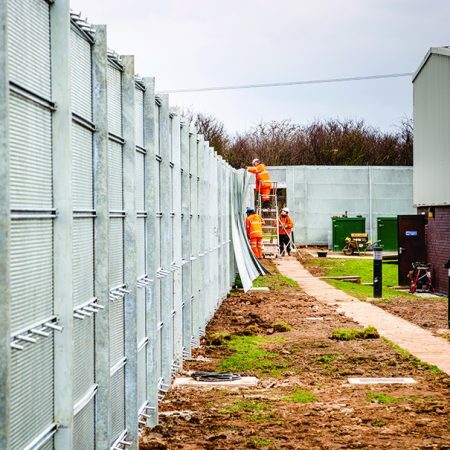 For the three sites, Severn Trent requested high-security LPS 1175 SR3 rated dig-in and base plated fencing materials including 18 double vehicle gates, which were required in various specific sizes. ExMesh™ was appointed to work in conjunction with the end user and contractor, North Midlands Construction, from the initial concept of the project to end delivery. The ExMesh™ team coordinated three site installations with the instruction of the contractor’s precise dimensions and layout for the concrete ring beams to support the product. ExMesh™ was able to achieve this because of The Expanded Metal Company’s purpose-built facilities, which are designed to develop and manufacture solutions to client specification. required careful consideration due to the varying surfaces that the fencing would be applied to. Precise shop floor planning and transport logistics were also intensively planned and calculated due to the sheer size of material tonnage. 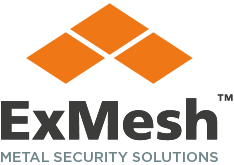 The ExMesh™ team also needed to ensure the continuity of deliveries alongside storage capacity and the requirement to maintain the supply chain of product for the installation team at all three sites simultaneously.